There are plenty of benefits from making data available to large repositories. But Dave Asprey, VP of Cloud Security at Trend Micro, said one thing holding enterprises back from putting their data in the cloud is the lack of security of what they’re sharing. At GigaOM’s Structure:Data conference, Asprey said that when individuals or enterprises think about adding their data to large repositories, there are many things that they need to be able to control who has access to it. That demand largely means adding a layer of policy management that isn’t really available today. 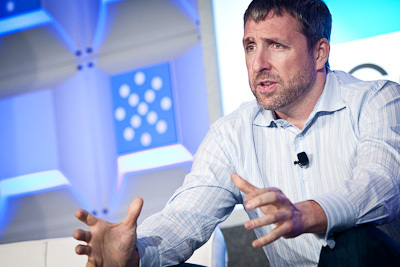 Asprey gave the example of sharing genetic data through a service like 23andMe. The genetic testing could help drug or science research labs, which is great — but Asprey wonders, “Do I really want to share that data with [insurance provider] Allstate?” In that case, there’s less of an incentive to do so. In addition to policy management, there’s also the issue of ensuring the reliability of data that’s put in the cloud. Asprey gave the example of a diaper manufacturer that did a field trial of a new product in a certain city, whose competitors bought out the product event though there was little actual consumer interest. That hacking, or poisoning, of the data led to the launch of a national campaign for a product no one really wanted. “If big data isn’t properly secured,” Aprey said, “You can stuff the ballots.” That’s bad news when the data is being used not just to make advertising or product decisions, but when it’s applied to health and national policy decisions.